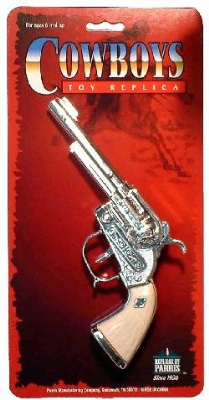 Full die-cast repeater cap pistol with silver finish. Shoots Roll caps. Measures 8.5 inches long. Ages 6 and up. Uses roll caps.